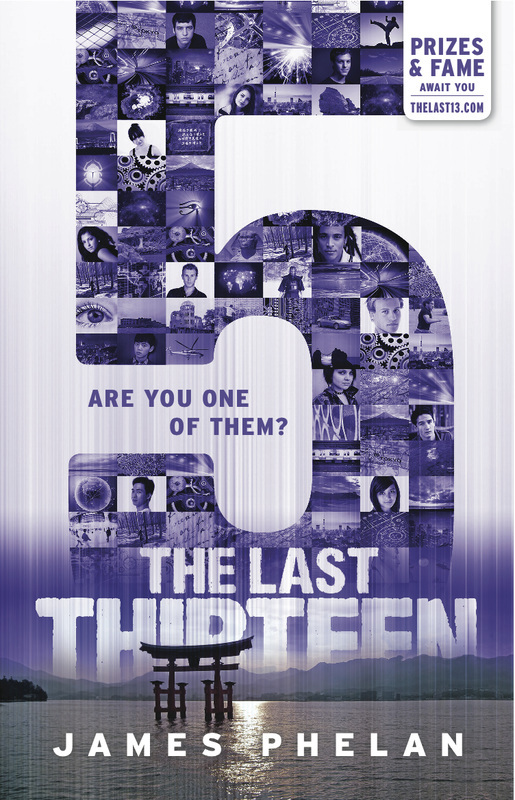 THE LAST THIRTEEN is a 13-part serialised thriller series for young readers (aimed at ages 8-15) and counts down from 13 to 1... this book, "5", is the 9th book in the series. Having escaped the clutches of his enemies in Siberia, Sam is plunged back into danger when he travels to Tokyo to meet the ninth Dreamer, international gaming sensation, Issey. Relentlessly pursued by Solaris, Sam and Issey travel to a mysterious windswept island, combating terrifying monsters to fulfil their all-important mission. In New York, Alex and Shiva must escape Stella’s explosive trap to unlock the secrets of a famous Dreamer, while Eva prepares to enter a contest with far-reaching consequences. Sam must find the last 13. We cannot succeed without them. Outside the room the fire raged. Sweat ran down Sam’s face. He started to hyper- ventilate. Smoke seeped under the door, filling the room with a black haze. Sam returned to the bed and tore off the bottom of the sheet. He ran to the small basin in the corner of the room and soaked the cloth, wrapping it around his mouth and nose and tying it behind his head. He kept low, frantically searching the bare room for anything that might help him escape. He checked the bedframe and the sturdy legs underneath. Metal. I could try to break it apart, use part of the metal frame as a crowbar to prise open the door . . .
Sam looked at the door. Through the small window he could see a black mask staring at him through the billowing smoke. He rushed to the mesh grill to look closer. The mask was a gas mask, with a large clear visor covering the eyes. Even with his mind cloudy, he knew those eyes. She pointed at him and then made a shooing motion. Get away from the door—right! Sam quickly jumped back to the other side of the room. Tiny explosives detonated in quick succession and the door was blown clear off its hinges, flying across the room and hitting the wall opposite, mere centimetres from where Sam stood. Arianna rushed into the room and, without speaking, pulled a dart pistol from a holster strapped to her thigh and shot him in the arm. He looked down at the dart. What . . ? Why would she . . ? He felt a rush of adrenalin, and was immediately more awake than he could ever remember feeling. Sam put on the mask and shadowed Arianna as they made their way down the hallway through clearing smoke. Is the fire out now? In a large office two doors away, Sam could see Hans lying on the ground, unconscious. Just then, a Hypnos soldier staggered towards them from within the wall of dense smoke ahead, gun in hand. Swiftly, looking just like the gymnast he knew her to be, Sam watched as she cartwheeled in a heartbeat, kicking the guy with her flying foot. He fell to the ground unconscious. Two more soldiers followed close behind, and she moved just as quickly. This time Sam was with her. Together they jumped—a twist, a kick, dart guns firing and it was all over. Arianna’s a gymnastic ninja! Glad she’s on my side. ‘We have to go!’ Arianna said, her eyes anxious through her visor. ‘That’s mine. Stolen from me, taken from my stolen dream. Now we take it back,’ Arianna said defiantly.